Another Kentucky Invasive Cardiologist Facing Possible Jail Time. A reader shared a notice that the Ashland doctor at the center of the angioplasty-abuse scandal at King’s Daughters Hospital was indicted by a federal grand jury for allegations of performing unnecessary cardiac stent procedures and associated billing fraud. If found guilty, he faces up to 15 years of prison and financial restitution and penalties. Dr. Richard E. Paulus allegedly participated in this scheme from at least 2008 when he sold his practice to King’s Daughters Hospital until 2013 when he retired. He preformed more cardiac stent placements than any other physician in Kentucky, and placed his hospital among the highest in the nation for the number of such procedures. Author P HasselbacherPosted on September 9, 2015 September 14, 2015 Categories Angioplasty Abuse1 Comment on Another Kentucky Invasive Cardiologist Facing Possible Jail Time. Corporate Integrity Agreement in Angioplasty Abuse Case. What comes after the fines? Which is worse? Author P HasselbacherPosted on October 28, 2014 December 7, 2014 Categories Angioplasty AbuseLeave a comment on Corporate Integrity Agreement in Angioplasty Abuse Case. 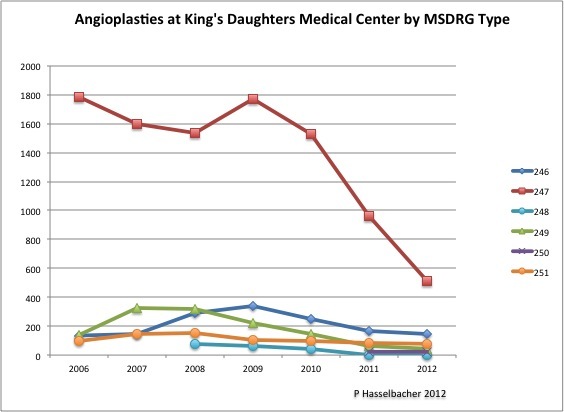 King’s Daughters Hospital Finalizes Angioplasty-Abuse Settlement. The Verdict is In– Or Is It? The agreement between King’s Daughters Medical Center and Hospital and various government investigatory and prosecutorial agencies to settle claims that the hospital submitted improper bills to Medicaid and Medicare has finally been signed. Not that we did not see it coming. A Kentucky record-setting amount of least $40.9 million now flows back into public coffers. Perhaps some of the money also goes into the pockets of a whistle-blower– I am waiting for the actual settlement text. Has justice been done? If we believe the U.S. Attorney and the FBI agent on the case– surely! Settlement language stated or implied that King’s Daughters “knew, deliberately ignored or recklessly disregarded the fact” that its cardiologists were putting things inside their patients’ hearts who did not need them; that some doctors were in effect being over-paid to submit their patients to what I have termed angioplasty abuse; that the hospital and its doctors were stealing money from patients and taxpayers; and that motivated by financial gain, public confidence in our healthcare system was threatened. Tough talk indeed. Author P HasselbacherPosted on May 29, 2014 June 11, 2014 Categories Angioplasty AbuseLeave a comment on King’s Daughters Hospital Finalizes Angioplasty-Abuse Settlement. Troubles Persist at King’s Daughters Hospital. Settlement proceedings with federal agencies ongoing. A measure of the difficulty facing our Louisville Hospitals. Last March I gave an update on the struggle of King’s Daughters Hospital in Ashland, KY to recover from the abrupt decrease in patient volume and income following the disclosure of a Federal investigation of their cardiac program. Several years of financial boom and building turned into a bust of multi-million dollar losses and a downgrading of their bond rating. A paragraph in their FY2013 Audit led me (and pretty much everyone else) to believe that the hospital had reached a settlement with the Department of Justice and Inspector Generals’ offices. My efforts to obtain a copy of the settlement from Kentucky authorities was unfruitful despite apparent cooperation with my request. A report in today’s Modern Healthcare gives the reason why as well as an interim financial update. In fact, settlement discussions were indeed in progress but are not final. The $48.9 million mentioned in the footnote of the audit referred to a reserve set aside to cover any fine and associated legal costs. The Hospital corrected the misleading language. Ongoing losses despite some improvements. Author P HasselbacherPosted on May 19, 2014 May 20, 2014 Categories Angioplasty Abuse, Hospital Mergers, Norton Kosair Children's Hospital1 Comment on Troubles Persist at King’s Daughters Hospital. Catholic Health Initiatives Agrees to Pay $37 Million to Settle Class-Action Lawsuit for Angioplasty Abuse. As reported in the Baltimore Sun last week, Catholic Health Initiatives (CHI) agreed to pay up to $37 million to settle civil claims of unnecessary coronary artery stenting at its St. Joseph Hospital in Towson, Maryland. The class action suit by some 273 patients was one of several federal and civil lawsuits against the hospital for the placement of, or billing for medically unnecessary invasive cardiac procedures beginning years before 2010. The settlement still needs the approval of court officials and an agreement of at least 60% of other plaintiffs to join the case. These and apparently other plaintiffs have the option not to join the settlement. The books are not obviously closed on the case. The Hospital’s principal invasive cardiologist, Mark G. Midei, is named in other open actions, but not this case. 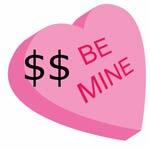 Cost of doing business? Slap on the hand? Fair outcome? Although this sounds like a lot of money, it amounts only up to $134,000 per patient before plaintiff’s attorneys take 40% and repayments are made to Medicare, Medicaid, and private insurance companies who paid for the “allegedly” unnecessary medical procedures. Frankly, I anticipated a higher penalty given my understanding of the severity of the “alleged” deeds. Naturally, as we have come to see in these cases, CHI admits no wrongdoing, presumably knuckling under to an alternative interpretation of heavy-handed litigation and to avoid further uncertainty and legal expense. Author P HasselbacherPosted on April 14, 2014 April 14, 2014 Categories Angioplasty Abuse1 Comment on Catholic Health Initiatives Agrees to Pay $37 Million to Settle Class-Action Lawsuit for Angioplasty Abuse. Major Settlement Between King’s Daughters Hospital and U.S. Department of Justice. A $40.9 million settlement over issues of unnecessary cardiac catheterizations and coronary stents was apparently reached last February. Is it final yet? Modern Healthcare reported yesterday on additional bad news for King’s Daughters Medical Center, including a $40.9 Million-plus settlement with the U.S. Department of Justice related to unnecessary cardiac procedures. The following language comes from the Medical Center’s annual independent audit for the fiscal year ending September 2013, as released this March 14. Little or no news about the settlement. Author P HasselbacherPosted on March 26, 2014 March 26, 2014 Categories Angioplasty Abuse1 Comment on Major Settlement Between King’s Daughters Hospital and U.S. Department of Justice. St. Joseph’s London Discontinues Coronary Artery Bypass Surgery. St. Joseph’s London Hospital has notified the state that it will no longer perform coronary artery bypass graft surgery (CABG), the traditional open-chest cardio-thoracic surgical procedure used to restore blood flow to the heart of people with severe coronary artery atherosclerosis. Before the advent of the the less invasive angioplasty and stenting, CABG was the main surgical approach to re-vascularization of a diseased heart. For certain combinations of coronary artery disease, and in some clinical settings, CABG remains the preferred approach today. In Kentucky, the frequency of both angioplasty and CABG have been gradually decreasing, presumably because the effectiveness of aggressive medical therapy is better recognized, and because research showed that the invasive approaches were being used in circumstances where they offered no advantage over non-invasive treatment. Treatment of coronary artery disease is lucrative for hospitals and physicians alike which unfortunately caused some to stretch the envelope beyond what could be justified medically, even to the point of fraud. That bubble is bursting and accounts for a some if not much of the overall decrease in invasive procedures. Author P HasselbacherPosted on March 20, 2014 March 20, 2014 Categories Angioplasty Abuse, Health Care Reform, Quality & SafetyLeave a comment on St. Joseph’s London Discontinues Coronary Artery Bypass Surgery. The Other Boot Drops for Kings’s Daughters Medical Center. Hundred’s of plaintiffs and a 70% drop in angioplasties. We have known for some time that King’s Daughters Medical Center (KDMC) in Ashland Kentucky (Boyd County) has been under investigation by the Federal Department of Justice for the spectacular number of invasive cardiac procedures performed on its premises. In fact, the rate of angioplasties in that small city was one of the very highest in the nation and the highest in Kentucky. When other hospitals in Kentucky and elsewhere with seemingly anomalous high rates were looked at more carefully, it was found that that many, if not a majority of the procedures in some hospitals were not medically necessary or were even performed on normal or near-normal people! The extent and progress of the federal investigation at KDMC is as yet unknown but it was not a complete surprise when a civil lawsuit was filed last September in Boyd County Circuit Court. It alleged that a medically unnecessary procedure with placement of a stent was performed in the hospital by its principal cardiologist, Dr. Richard E. Paulus, whose practice reportedly had been purchased by the hospital. New lawsuits against King’s Daughters. Author P HasselbacherPosted on March 9, 2014 March 14, 2014 Categories Angioplasty AbuseLeave a comment on The Other Boot Drops for Kings’s Daughters Medical Center.